Will Connecticut be the next state to legalize recreational marijuana? With many states considering legalizing recreational marijuana, it's possible there will be several new states to add to the list of legalized ones in America. And Connecticut could be next, writes Joseph Misulonas. A strong push is underway to legalize recreational marijuana in Connecticut. The state has discussed doing so in the past, but it's usually been shut down. But with newly elected Democrat Ned Lamont taking over as governor, and large Democratic majorities in both the state house and senate, this seems like a prime time to do so. A big reason for the push in Connecticut is the state's budget deficit. The state is facing a multi-billion dollar budget deficit, and needs ways to fix it. Obviously legalizing recreational marijuana and gaining that tax revenue is a pretty popular solution, although obviously it would only be one part of a multi-part plan. But it's certainly more easy to sell voters than tax hikes or major spending cuts. Connecticut is also losing money to Massachusetts every day it doesn't legalize marijuana. 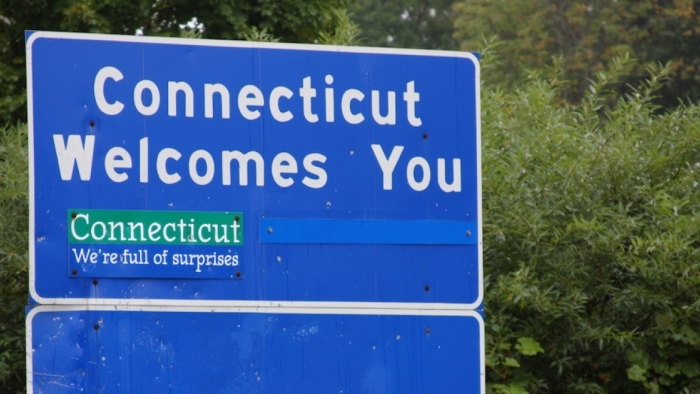 Connecticut residents are taking the short drive to Massachusetts to purchase legal marijuana, and all those purchases could've been made in Connecticut if the state had acted quickly enough. There's still a lot of resistance to the idea. Some are demanding a more reliable roadside test for marijuana impairment before legalization, even though it's not clear if that will ever become a reality. Others are simply adamantly opposed to the idea. So Connecticut Democrats may not have quite as easy a time to legalize marijuana as their other neighbors, New York. But it is definitely a real possibility right now.